Fairtree Simonsberg Contour 2 Day MTB Event has gone from the newbie on the calendar to a firm favourite and must-do event for all mountain bikers and outdoor enthusiasts. Originally created to continue the development of routes and to showcase the incredible network of single-track trails on the Simonsberg Mountain, the region has become a hotspot for trail runners and mountain bikers alike through the continued support of Fairtree Capital. Saturday option has removed most of the long gravel sections and more singletrack to both distances. That said, the day remains consistent with our goal of having an easier day than Day 2. Various sections of singletrack and the blue route on Delvera with boardwalks to offer non technical alternative to some of gnarlier rock gardens. For those who enjoy the more tech stuff are welcome to tame the rougher sections. The Saturday long route will see at least 7km additional singletrack than last year! 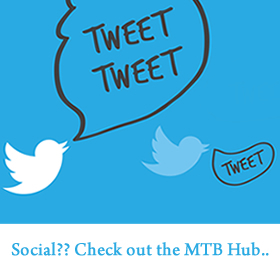 We are not messing too much with what has become a winning compilation of more than 25 singletrack sections showcasing the best of the Simonsberg Trail system. Long routers head up to the 10km Never Say Neverending Again section where 2 spring seasons has settled the trail into what must be the premier trail in the region. The Fairtree Contour is the only event that uses this trail as part of its routing and due to the fact that numbers are limited, and we reach the trail after 42km of riding, makes it an enjoyable experience for all. 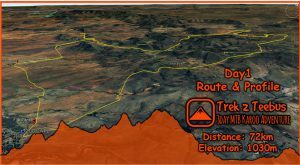 Although the elevation at around 1500 m for the long route is considerable, the climbing is not intense and very manageable. That said, the Long Route is not for inexperience riders! Short routers do most sections apart from Never Say Neverending Again, and can expect a punchy, singletrack infested morning.